Chia seeds are a very versatile product. Here are some suggestions to consume them. You can mix them in muesli, yogurts, salads, smoothies, soup, rice or pasta dishes, etc. The seeds ground (or even whole, in some cases) can replace an equivalent amount of flour in recipes for bread, biscuits or cakes. You can also mix a tablespoon of seeds to 250 ml of water and let them soak. Seeds can increase about nine times their volume. Wait a few minutes and the seeds are ready to eat. Mix with lemon juice or fruit shakes for extraordinary taste. You can also use the seeds dissolved in water in some recipes. 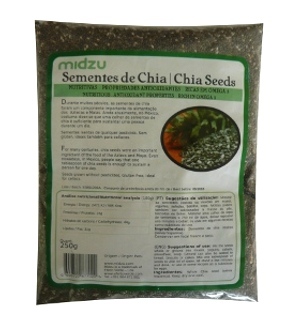 Chia seeds, unlike linseed and other seeds, do not need to be cooked or ground to take advantage of their nutrients. They can be easily digested.